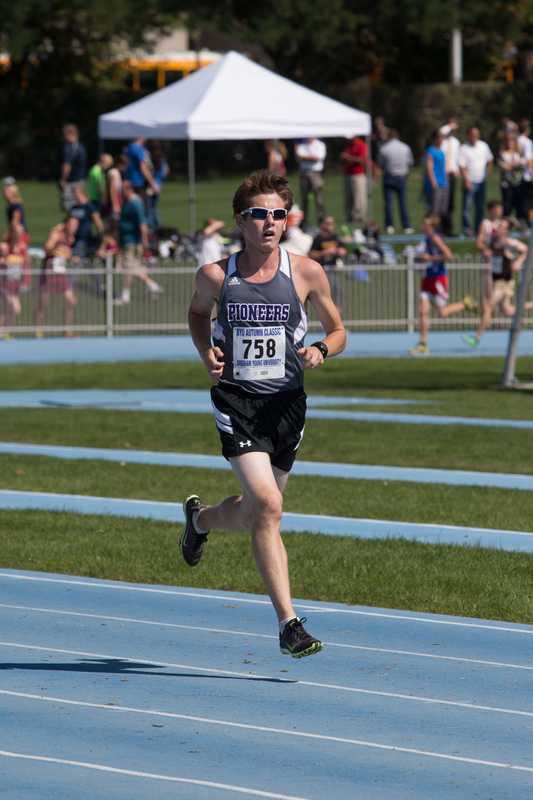 Running with Diabetes as a High School Athlete – A running clinic for everyday endurance athletes who are looking for training, nutrition, and maintenance plans that work with their busy schedule. Stewart: Some of the biggest highlights as a runner was my first cross country race that I completed after being diagnosed with Diabetes. I consider this a highlight because after completing it I knew that my diabetes wasn’t going to stop me. Another one was my first race running varsity on my cross country team. When I ran varsity I knew that it was worth it to keep trying even though it was very hard from time to time. Stewart: Dealing with my diabetes has definitely been the thing that has challenged me the most. While other people are preparing for a race by thinking about how they will execute the plan, I’m always busy stressing over that and trying to predict what my diabetes will do. Having to deal with all that can definitely be a struggle from time to time. Stewart: A life lesson I have learned from running is to not quit. Running is hard, there’s a reason it’s other sports punishments. But the rewards for persevering through a hard run or a hard workout definitely make it worth it. This really helps me in my daily life, like for example: when I have to do something hard, like taking a hard math test, I’m able to think of how much I have gone through while running, just by sticking to it and not quitting. Upon thinking of that it makes it so much easier to get through the hard parts that are in my everyday life. Story: Running has always been a very important part of my life. I began running track when I was in junior high and immediately fell in love with distance running. I was able to meet people who loved doing what I loved to do and was really able to become good friends with them. 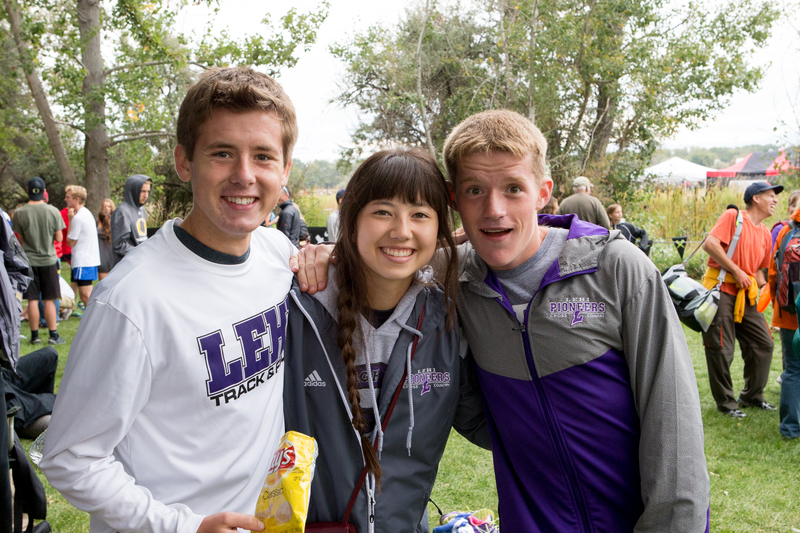 A couple of my friends ran cross country when they were freshman and seemed to really enjoy it. When sophomore year rolled around they told me when practices were and I couldn’t wait to get started. That same core of friends that I had in junior high all joined the team and we all continued to push ourselves even further then we could when we were in junior high. I really enjoyed pushing myself everyday at practice and being able to get better as a distance runner. On July 3rd I went in for my yearly physical so that I could compete that fall in cross country races. I was in the best health of my life and didn’t think anything of having to go get a physical. I was going to get my drivers permit right after and was more worried about that than anything else. While they were conducting the physical my doctor and the nurse’s were really impressed with how healthy I was for someone my age. I was feeling pretty good about myself when my doctor told me that there was an abnormality in one of the tests and that I might have Type 1 Diabetes. As a 15 year old, I wasn’t very educated in the world of diseases and really had no idea what Diabetes was. My doctor informed me that I would have to go the hospital the next day and have a blood test to see if I really did have it. After I left the doctor’s office and began to travel to the DMV I asked my mom if I would still be able to run, she told me that I should be able to but we would figure it all out when we knew more. The next day, July 4th, rolled around. This day had always been one of my favorite holidays. My family always goes to the zoo and goes to watch fireworks with some family friends and it’s always a blast. This year was different though. I went to the Hospital early in the morning to get my blood drawn. After I got that done, we went back home and picked up the rest of my family so we could go to the zoo. My doctor was going to call later that day and tell us what the test results told us. I was having a really hard time focusing on the zoo as you might expect. We made our way around without hearing anything from the doctor and my parents and I were very anxious to find out if I had Diabetes or not. We left the zoo and on our way home we got the call from my doctor that told me I had it and that I needed to go to the hospital immediately. We went to the hospital and got myself all settled in. The nurse’s at the hospital didn’t believe my doctor. I spent the rest of the day hanging out in my hospital room and watching TV. The nurse’s still weren’t convinced that I had it and so my doctor showed up at the hospital to convince them. He told them that my sugar levels were in the thousands when I was getting my physical done! If you don’t know, the sugar levels of a “normal person” are usually in between 90-100. That convinced them and they were less skeptical of what he had to say. After convincing them he came in to talk to me, I wasn’t expecting to see him. It was a pretty major holiday and I figured he would be off with his family. We talked for a minute and during that time he told me that what was happening to me was happening for a reason. Him telling me that really helped me get through the night and the next day while I was at the hospital. I got home the next day in the evening after getting trained with how to deal with my diabetes. I was mainly focused on how it would affect me while I was being active because I was active all of the time. They had told me that I would need to figure it out for myself and find what works best. They told me what usually happens when working out and I just built off of that. I took the next week or two off of practice to get used to having Diabetes. During that time I went and hiked a mountain so I was feeling pretty confident with being able to treat it. A little time after getting back to practicing I was able to participate in our teams Cross Country Camp. 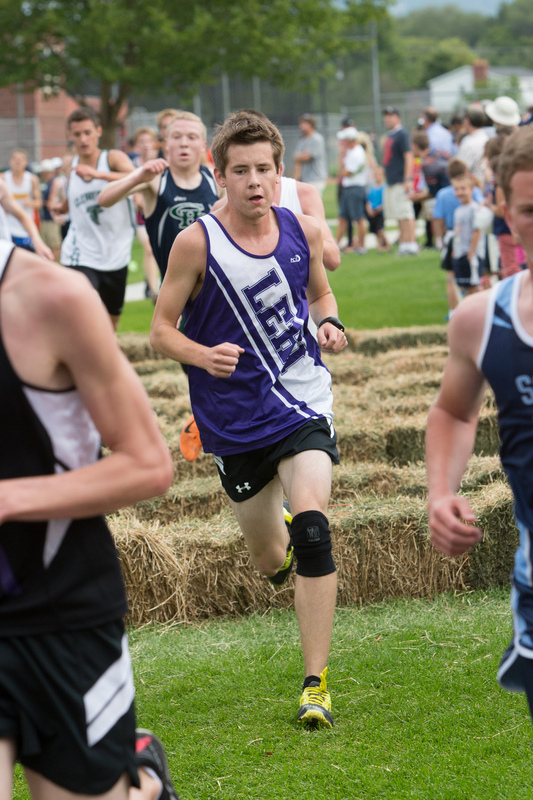 I am now currently a Senior at Lehi High School and am still running on my teams Cross Country and Track team. Managing my Diabetes while on a run for practice or races can tend to be pretty challenging. When out on a run I always have fruit snacks in my pocket in case my sugar levels drop. If they drop too low it can cause me to pass out which is not good, especially when out on a run. I always drink Gatorade before getting out on a run to try and prevent that from happening. On Race Day’s, I check my levels 3-4 times before I race in order to make it so that I don’t need to worry about my levels while competing. Competing is stressful enough and having to worry about Diabetes just makes it that much more stressful. Having Diabetes has really taught me not to quit. It would be so easy to just stop training and being able to use my Diabetes as an excuse to quit the team. Quitting has never been an option to me in my life and I wasn’t going to start then. Everyone goes through different things and everyone has their own struggles, but they shouldn’t be used as an excuse to not work hard or to quit. While it’s not easy to go through the struggle, it’s always worth it in the end and I have really come to learn that in the past two years of having to deal with this disease. Don’t quit, use any struggle to push you to places that you never thought that you could go, it will make you a better runner and a better person if you do.